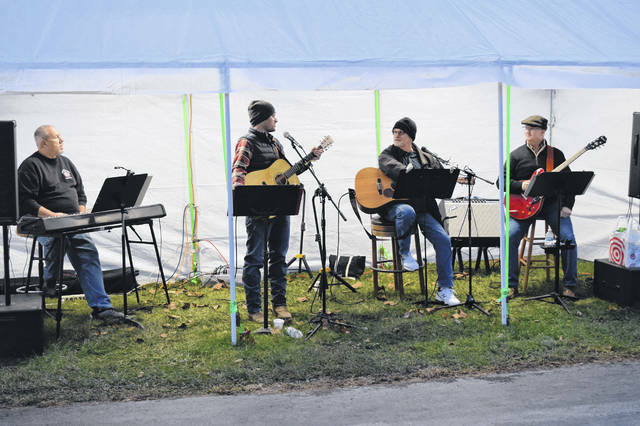 The Village of Lewisburg held its annual Christmas Parade, before lighting the park with holiday cheer. The event has grown exponentially over the years — from simply lighting the park, to visits with Santa, and now to an event with over 400 people in attendance. 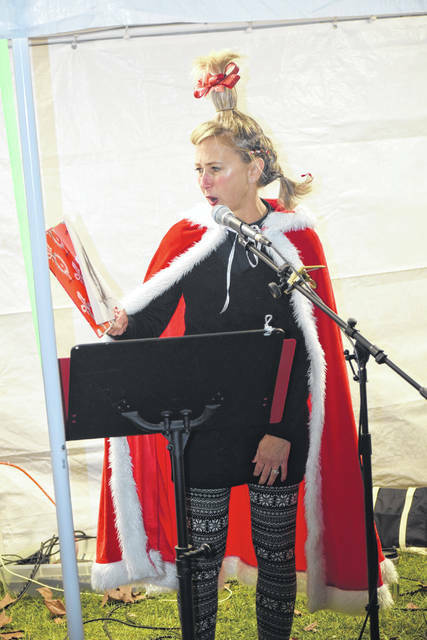 LEWISBURG — The Village of Lewisburg held its annual Christmas Parade, before lighting the park with holiday cheer. 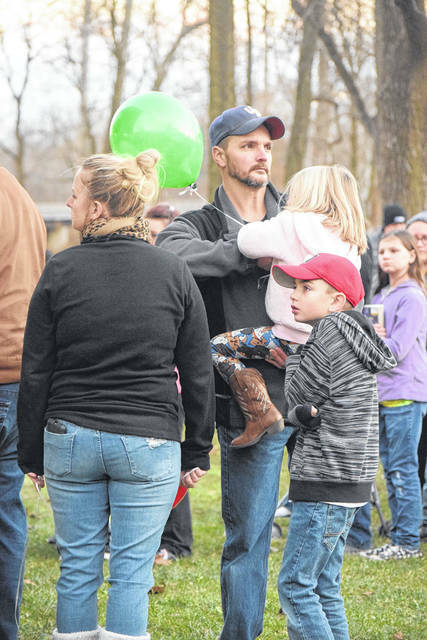 The event has grown exponentially over the years — from simply lighting the park, to visits with Santa, and now to an event with over 400 people in attendance. The event featured food, music, pictures with Santa, pictures with the Grinch, story time with Brown Memorial Library, the lighting of the park, and fireworks. “We do this every year — this is our 15th year. 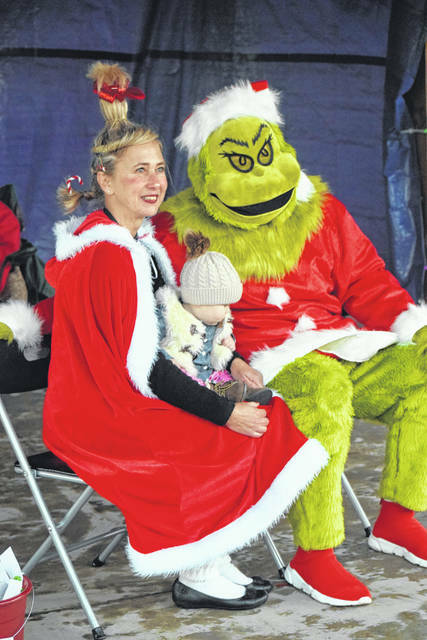 We always have Santa Claus and this year we also have the Grinch, sponsored by Brown Memorial Library. The band is from the Methodist Church in town. Everything is contributed by volunteers and is free to the community,” Barbara Foster, Community Association Secretary, said. The lighting of the park started 15 years ago. Six years ago, when the Community Association took over the event, it decided to have Santa at the park, which was a success. For the last six years, they have also had a Christmas Parade with Santa. When it started, the parade ran from the firehouse down the hill. This year, the committee wanted to make the parade longer. It started at Tri-County North Schools and went to the park. There were marchers, elves, reindeer and snowmen, and passed out over 100 balloons to kids along the way. For the last six years, they have had musical entertainment. Last year was the first year the event had fireworks and this year continued that tradition. “Every year the celebration continues to grow — and the crowd too. I think there are probably 400-500 people here tonight, which isn’t bad for a town of 1,800. When you get a nice day like today, you get a beautiful crowd,” Community Association President Mark Madigan said. The downtown businesses also took the day to open their shops and compete in a window decorating contest. They had donation voting boxes for Habitat for Humanity. Whoever had the most donations — the most votes for their decorating – won bragging rights. 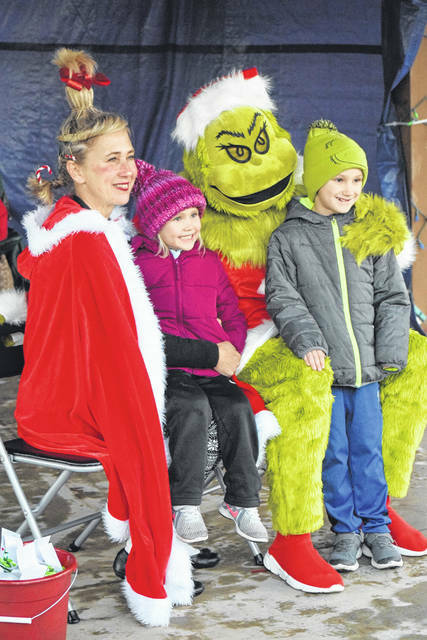 https://www.registerherald.com/wp-content/uploads/sites/41/2018/12/web1_Lewisburg4.jpgThe Village of Lewisburg held its annual Christmas Parade, before lighting the park with holiday cheer. 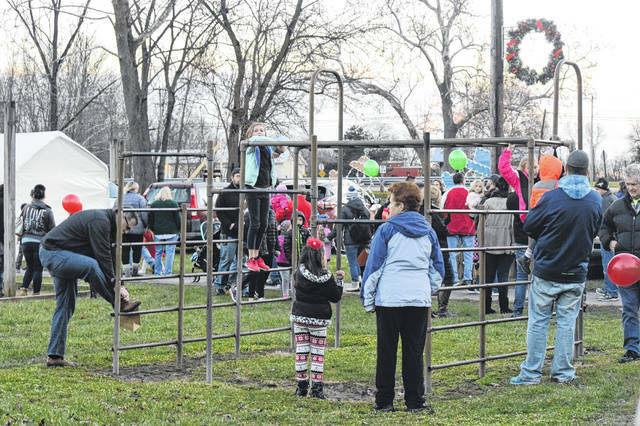 The event has grown exponentially over the years — from simply lighting the park, to visits with Santa, and now to an event with over 400 people in attendance.